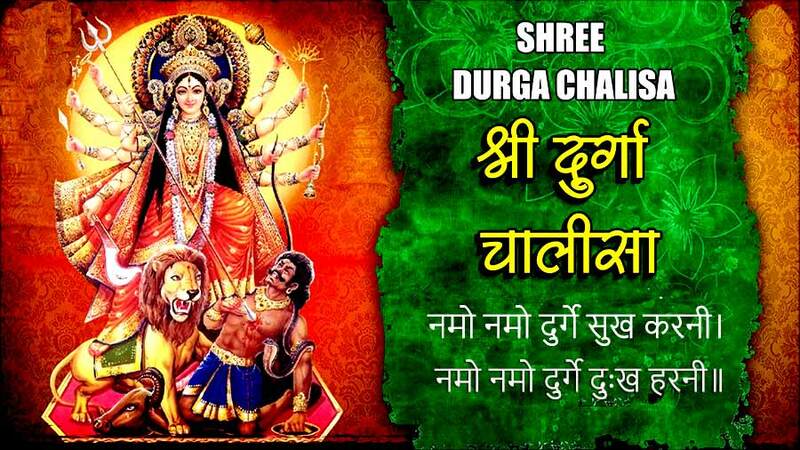 Durga Chaalisa (दुर्गा चालीसा – Durga Chalis in Hindi) is one of the most popular way to pray Goddess Durgaas this forty verse prayer is sung in the praise of Goddess Durga. Durga Chalisa is a narrative of many of the divine incidents she committed. In the Durga Chalisa Mother goddess is extolled for her moon like beaming face. These verses are full of praise for the radiance She radiates throughout the Universe. Goddess Durga is also praised for assassinating the demons Shumbh-Nishumbha and Raktabeej, thus saving mankind from their terror. Devidas sharan nij jaani, kahu krupa jagdamb bhavani. One who sings or recites the prayer with full devotion to the goddess is said to be relieved from the cycles of birth and death and attain Moksha. He is freed from all his afflictions and mother’s grace protect him under all adverse conditions removing fear from him.